An apartment on the 16th floor of the future modern building el Delfín Tower turned out to be such a valuable property. It was sold for 2,081 million euros on the 6th of January 2018, but news about it was published en Spanish press today only. 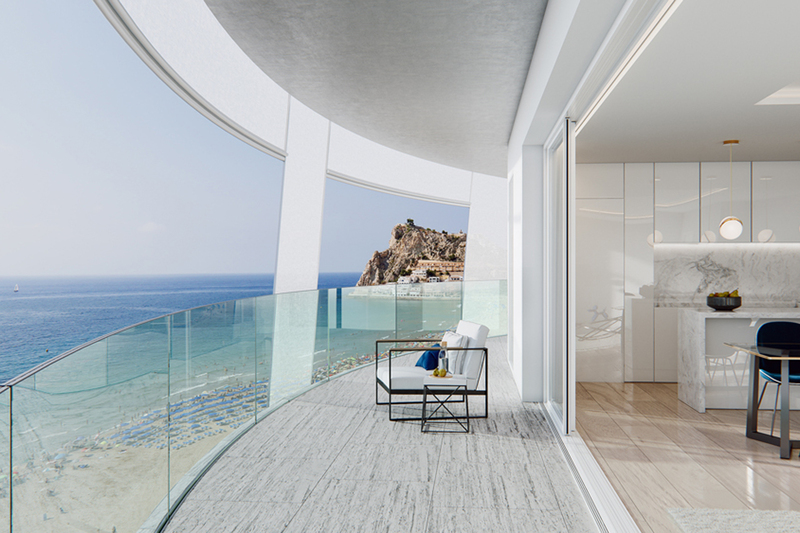 Elmundo.es writes that in the future the fashionable building el Delfín Tower to be build on the first line of la Playa Poniente beach in Benidorm will have 22 floors and 44 apartments. The sale of the apartments of Delfín Tower began in late October and in just 2.5 months 43% of all apartments have been already sold. So in Benidorm there will be more rich inhabitants.